Diet: Kosmo’s homeland Larimidia was lush with water lettuce, duckweed and other aquatic plants, so try your local aquarium for stock. 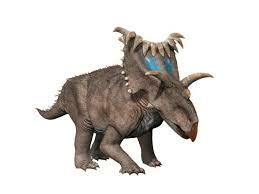 How about a Triceratops with 15 horns? 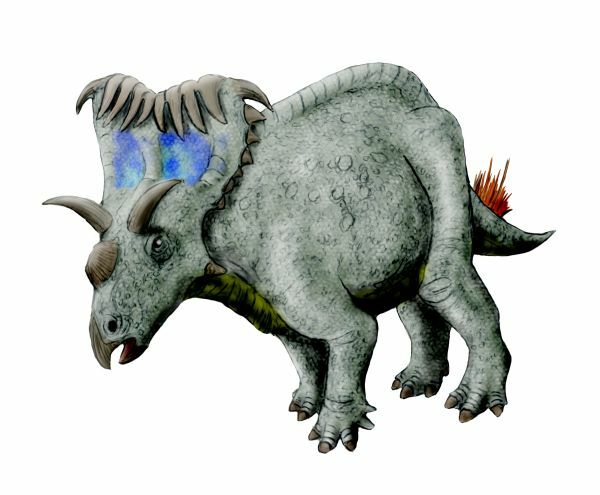 As well as the usual one over each eye, on the nose, and two cheek horns, Kosmoceratops has another 10 folded over the top of its tall frill like a fringe. Personality: Kosmo prefers to be in groups and can be grouchy on its own. Like modern day rhinos, its eyesight might not be too great, so like Stygimoloch, be careful when you approach to avoid spooking it. 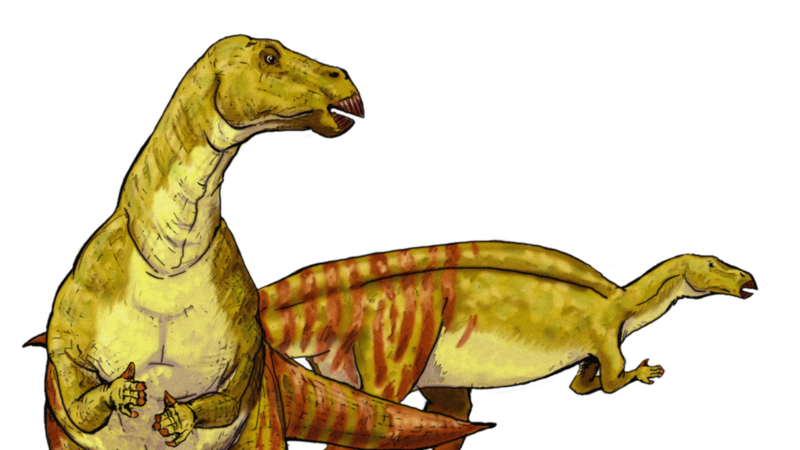 Dino Care: Your enclosure should be swampy with low-growing plants, so Kosmowon’t need to raise its heavy frill to feed. Bright flowers will make it flush its frill with color. Check regularly under the fringe horns for any debris. Shipping: One of our most elaborate dinos, Kosmo is hard to reach and must be flown in from Utah’s Grand Staircase-Escalante National Monument. We then ship it via cargo train, so if it escapes and charges, we can decouple for a quick getaway! Delivery Time: Helicopter pick-ups are every 2 weeks, so plus cargo train time, allow up to 17 days. Ideal for: When three horns just aren’t enough.